Originally published in Croatian at Bilten. Translated by James Robertson. One of the key characteristics of populism, if we are to believe concerned Europeans, is a certain fiscal nonchalance. Populists, that is, are not worried about the “social physics” which stand behind a balanced budget. They throw money around as if there is no tomorrow. And thus they threaten both economic and political stability. 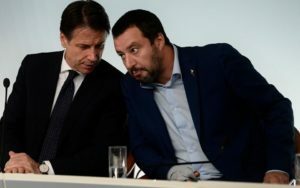 Such are the fears raised among the European establishment by the current Italian government, a coalition of the League and the Five Star Movement. For a month now, the Italian government has been in heated negotiations with the European Commission (EC) regarding the country’s 2019 budget. These talks came about after the EC, for the first time in its history, rejected the proposed budget of a member country. The Italian budget is planned to reach a deficit of 2.4% of GDP, a figure that the EC has deemed dangerous given the existing level of the country’s public debt. Thus, even though this proposed deficit will not exceed the threshold of 3% of GDP specified by the Maastricht Treaty, the commission rejected it. Initially, Italian leaders took a confrontational stance and announced that they would not withdraw the budget. But they quickly began to concede, largely in response to pressure from the financial markets where interest rates on Italian state bonds have begun to rise. At the beginning of this month the Italian government made a concession to the EC and agreed to reduce the deficit to 2% of GDP. However, that was before the gilets jaunes erupted into European politics. This wave of bitter social protest has shaken France and prompted President Macron to make concessions. And although these concessions have not been enough to satisfy the protesters, they have served as a useful political tool for the Italian government. The concessions that Macron has promised the protesters, such as a raise in the minimum wage and a reduction of the tax burden on the most poor, will be reflected in the French budget for 2019. These announced measures will raise the deficit to 3.5% of GDP. As news of Macron’s concessions came to light, representatives of the Italian government immediately requested that the EC’s Commissioner for Economic and Financial Affairs, Pierre Moscovici, make a statement on the issue. He only agreed to closely follow the French budget but insisted that the French situation is not comparable to that of Italy. Nevertheless, in Macron’s move, the Italian government has a strong trump card. If the EC continues to challenge their own proposed budget, the Italians can accuse it of a double standard, of showing sympathy towards Macron, the “Savior of Europe,” who, under popular pressure, will carry out much the same policies as their own. In other words, it will take the accusation of “populism” out of the EC’s hands. Of course, Macron doesn’t pursue a popular politics, and nor does the new budget of the League and Five Star government. Indeed, in regard to the latter, it is enough to simply acknowledge the undeniable role that tax cuts for the wealthiest play in expanding the Italian deficit. The European Commission certainly faces a big challenge, primarily because its accusations of populism can no longer pass unchallenged. And that is the great merit of the gilets jaunes; they have rendered defective such efforts at discrediting opponents and have demonstrated that the false opposition between “reasonable politicians” and “populists” can operate only in the absence of an authentic popular resistance. 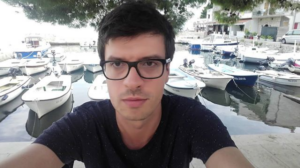 Marko Kostanić lives in Zagreb and is an editor of the online platform, Bilten.